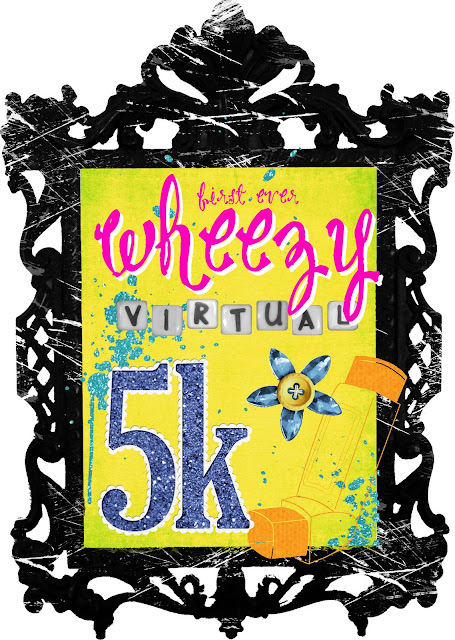 life's a wheeze: Virtual 5k! I'm totally in! I may have to run it a couple of days early though since I'll be up in the mountains snowboarding on the 19th...that's okay, right? Thanks for the fun idea (and the accountability). yesss! cute little picture thing too! Ill post on my blog! This sounds really cool I'm totally in! I'm in! Sounds like a great idea! I'm in!!!!! Looking forward to it! I am so glad I found your blog in time to join your 5k. I'm a wheezer too. Asthmatic runners are awesome. I also ran the Princess Half. If its not to late I would like to participate. I'm in!!! I'll be doing my 5K at 7:00 AM! I completed my Wheezy 5K in 38:14. I'll do my race report later and send you a link! Thanks so much for the fun idea!!! I just found you, and am sad that I missed the race!